Our core mission is to help small to medium sized businesses develop and grow their brand. We are passionate about that and it shows in our work. But we aren’t the typical geeks sitting around a coffee shop discussing Star Wars! That’s because we don’t see our role ending once your project has launched, in fact, it’s just the beginning. We pride ourselves in the level of support (We call ourselves Support Super Heroes!) we provide for our clients. We are fanatical about it. We evaluate our support results on a weekly basis to constantly improve what we offer our clients and how we can improve their experience. If you are ready to experience a new level of communication and support from your creative team give us a call and let us show you what our Super Heroes can do for you. Does your website blend in with the rest and you want to stand out? We get it, we build custom, unique websites for each client. Communication is key so we always keep you informed of where we are with your project. 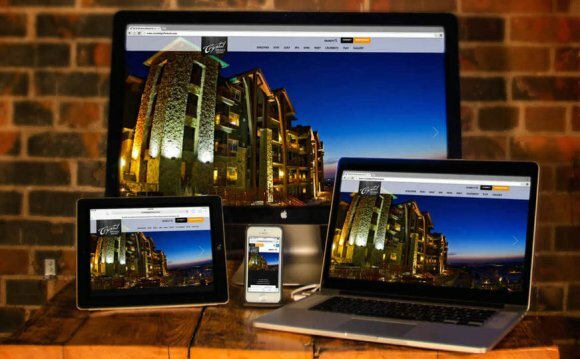 Every website we build is fully responsive so your content will always look good on any screen size. We train you how to manage your own site or if you choose, we can handle everything for you. We offer free support because we care about your site as much as you. No other web design firm offers the level of support that we do. We love our clients and are fully dedicated to keeping their trust by offering Amazing training and Outstanding support! Dave and his team are a wonderful example of how an agency can be professional while maintaining an extraordinary high level of personable interaction. Dave is quick to respond to any and every problem I may throw at him. Moreover, his patience level with us “not so computer savvy” computer users, is wonderful. The finished product of our website is beautiful and something that I show off every chance I get. We at Freedom Hill are blessed to have been able to call upon Dave and receive his help. Distinct Design exceeded our expectations in the three areas most important to us: Design, Hosting and Customer Service. The hosting you provide is extremely responsive and reliable, easily handling the traffic our site generates without any delays. Since the day we went live, your office has provided us with outstanding customer service for the many questions and updates we have on a regular basis. Again, thank you for making this project a success and providing the FCSO with a website that will be able to grow with our department for many years to come. Redesigning our entire website was an incredibly intimidating task, but with the help of Dave and the Distinct Design team, our website seamlessly transformed into a site that we are so incredibly proud of. We couldn’t be happier with the responsiveness, the level of detail that went into the production of the site, and the work ethic that was put forward from this team. We are so thankful to have gotten the expertise and direction we did from Distinct Design, and look forward to collaborating with them in the future! I have been working with Dave Carlson, CEO of Distinct Design Company, for several years. Dave has been tremendously helpful in redesigning, improving site optimization and hosting our professional services website and in improving site optimization and content for a similar website for a client of our firm, i.e., International Light Transportation Vehicle Association, Inc. Dave’s work ethic, honesty, enthusiasm and knowledge is a great comfort to us in a very fluid technical environment.